This is the NEWEST update file to get you on the newest released version of the software. 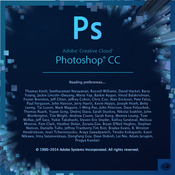 You must have Photoshop CC 2014 version 15 installed before applying this update. This includes an "updaterCore" file to assist you if updating fails.